Your swimming pool will likely be the focal point of your backyard, serving as both a functional place to cool off in the warm weather, as well as a visual element to enhance your yard’s aesthetic. If you’ve already got a pool, why not create a full-scale backyard oasis by adding some custom hardscape components? We’re talking about a functional yet sophisticated outdoor kitchen, waterfall features, fire pits, spas—those features that elevate your pool’s livability and make it uniquely yours. 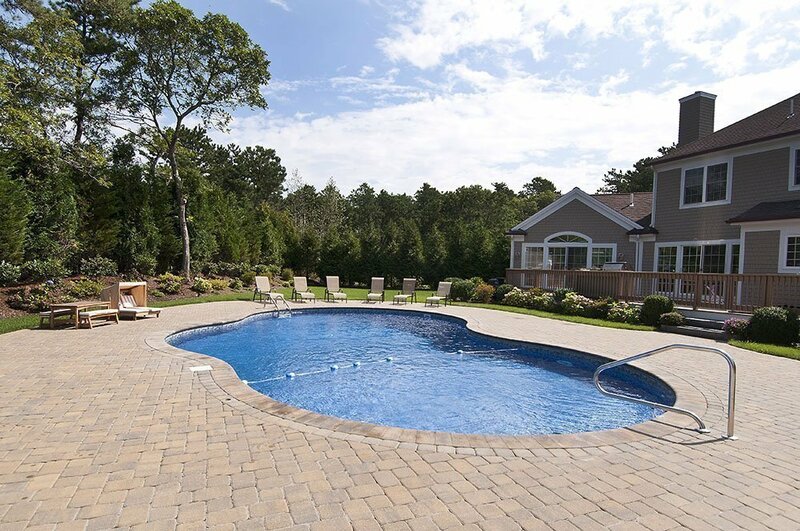 Whatever additions you’re considering, Shoreline Pools can direct you through the process and help you design an outdoor living space that perfectly matches your needs. Love to cook? Bring the party outdoors with a custom-designed outdoor kitchen. Your cook space doesn’t have to be limited to a simple grill and side burner … think outside the box! Add a stainless mini fridge and dishwasher, granite countertops or an intricate backsplash (or both). Better yet, add that outdoor pizza oven you’ve always dreamed of and be the envy of the neighborhood. Designing a custom kitchen for the home chef or grill master is a chance get creative and let your culinary imagination run wild! There’s something truly great about gathering around a fire when the temperature dips, especially in the comfort of your own backyard. Whether during the height of the summer or with snow on the ground, an outdoor fire pit or fireplace conjures a perfect atmosphere for unwinding in your Adirondack chair with friends and family. And who doesn’t love making s’mores?! There are limitless options when it comes to designing your outdoor fire pit, between materials, shape, style and size. If you’ve got the budget, consider blending your design with the existing pool landscape. Give your pool some character with an elegant, custom water feature. Imagine seeing—and hearing—water cascading over a beautiful stone waterfall and into your pool. Waterfalls are a perfect complement to lagoon-style or free form pools and add visual interest and beauty to more standard shapes. Deck jets are also an option and create an elegant arching stream of water from the deck to the pool and the water flow and direction are simple to adjust. Sheer waterfalls are a less expensive way to add a visual effect to your pool and create a curtain of water that descends into your pool. Combined with LED lighting, this feature can add a touch of personality to your pool, especially when the sun goes down! Naturalistic Spa: A naturalistic spa can be attached or detached and integrated into your backyard landscaping. This style of hot tub may have water features, rocks and plantings to enhance tranquility and blend into your surrounding landscape.